Long ago seem the days when Leicester City were storming to the top of the table during their Cinderella title run. This season, Claudio Ranieri’s men have struggled mightily in the league winning just three of their opening 14 matches. Saturday, a visit from Manchester City looked a near impossible mountain to climb at the King Power Stadium, but luckily for the home fans, the Foxes found their groove again. It took all of three minutes for Leicester to take the lead. 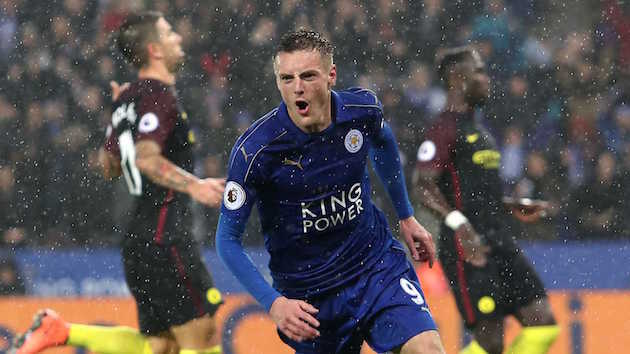 A quick counterattack ended with Islam Slimani slotting Jamie Vardy through on goal, and the striker ended his scoring drought with a cool finish into the side-netting. The Foxes were hardly done celebrating when they found their second goal. In the fifth minute, City’s inability to clear a long throw from Christian Fuchs saw Andy King hit a lovely first time finish past Bravo from outside the box. 2-0 Leicester. Throughout the first half, there was no doubt that Leicester were the better side. Ranieri’s men ran rampant and in the 20th minute they added to their lead. A long ball from Fuchs found a streaking Riyad Mahrez down the right wing. Mahrez laid a perfectly weighted pass through to Vardy who rounded Bravo before tapping home to make it a three-goal lead for the Foxes. Leicester continued to dominate City after Vardy’s brace, and Guardiola’s side were probably lucky to just be down 3-0 when it was time for intermission. The slaughter was truly completed in the 78th minute. Despite a renewed sense of attacking purpose from City to start the second half, a terrible back pass from John Stones gifted Vardy a breakaway against Bravo. He once again rounded the former Barcelona keeper before passing his shot in from a tight angle. If it wasn’t for goal-line technology, there would’ve been no way to tell whether or not the ball had crossed the line, but the buzzer went off and Vardy had his hat-trick. There was some redemption for Pep’s side on the day. In the 82nd minute, Aleksander Kolarov curled in a lovely free kick; and in the 90th minute, Nolito tapped home a cross from Kolarov to make it a somewhat respectable 4-2 scoreline. The result sees City lose vital ground in the title race as they fall to fourth, seven points behind Chelsea. United have fallen into a troubling routine as of late. The Red Devils will perform well midweek in cup matches, but when it comes to the league play they just can’t hold on to a lead. A 2-0 victory in Ukraine on Thursday seemed to set the stage for a demoralizing 1-1 draw against Spurs on Sunday, but José Mourinho’s men had other plans. Paul Pogba nearly opened the scoring just two minutes into the match, but his shot was too close to Hugo Lloris and easily saved. The Red Devils looked bright to start the match, but you couldn’t blame the home fans if they were still a little pessimistic about the match. In the 29th minute, a poor pass from Harry Kane in the middle of the pitch sparked a quick and lethal United attack. Ander Herrera intercepted the errant ball before releasing a rejuvenated Henrikh Mkhitaryan through on goal. The Armenian raced past Jan Vertonghen before hitting an absolute rocket past Lloris into the back of the net. It was Mkhi’s second goal in two games, and his first Premier League goal. The strike also marked the first time that an Armenian had ever scored in the Premier League. Tottenham’s attack came to life a little bit more in the second half with Christian Eriksen stinging David De Gea’s palms in the 54th minute. Moments later, Victor Wanyama somehow missed a wide open header at the back post with what was probably Spurs best chance of the entire match. In the 63rd minute, United came within inches of getting an elusive second goal. A long distance free kick from Pogba left everyone in the stadium, including Lloris watching and waiting. The Frenchman’s strike curled over the wall before cannoning back off the top corner of the woodwork. Was this going to be another disastrous finish for United? Thankfully for fans at Old Trafford, the Red Devils were finally able to hold on to a one-goal lead and secure all three points at home. While the victory provided some much needed optimism, fans will be anxious to see the extent of an apparent ankle injury suffered by Mkhitaryan at the hands of Danny Rose. Two sides that have had very different fates this season faced off Sunday at Anfield. On one hand, Jürgen Klopp’s Liverpool have been arguably the best attacking side in the league, and they were well and truly in the title hunt. West Ham, on the other hand, had struggled to even stay out of the relegation zone despite the talent at their disposal. 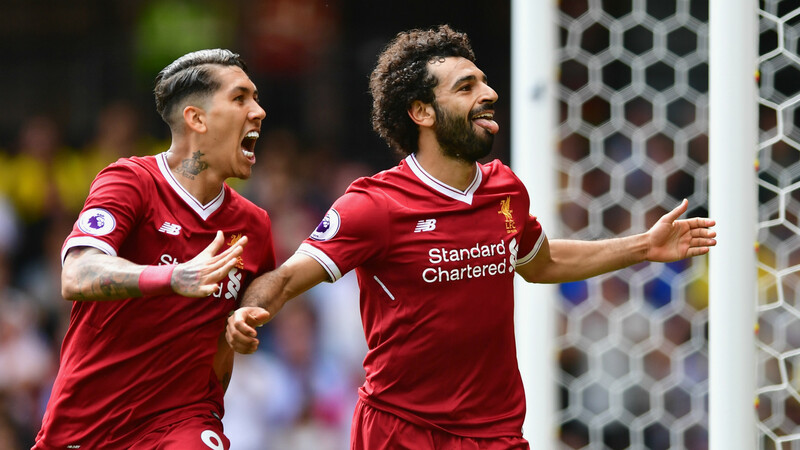 Would this match be just a formality for the Reds in their chase to keep up with Chelsea, or could the Hammers throw a wrench into the works? The Reds asserted their dominance quickly, taking the lead just four minutes into the match. A cross from Sadio Mané wasn’t dealt with by West Ham’s defense, and Adam Lallana was there to slot it home past Darren Randolph. 1-0 Liverpool. The lead lasted just over 20 minutes as West Ham equalized in the 27th minute. A foul from Lallana on Pedro Mba Obiang gifted West Ham a free kick within shooting range. Dimitri Payet rolled back the clock with a beautiful strike into the bottom corner. You could argue that Loris Karius, who has been in a bit of spat with Gary Neville, could’ve done better, but I doubt West Ham fans really care. In the 39th minute, West Ham took an unexpected lead. A long ball from Havard Nordveit took a deflection off of Jordan Henderson’s head before finding its way to Michail Antonio. Joël Matip misjudged the ball in the air and the West Ham defender was through on goal. Karius didn’t help much either as he was quickly beaten and the Hammers suddenly found themselves with a 2-1 lead away at Anfield. Three minutes into the second half, Liverpool found themselves back on level footing. Randolph couldn’t quite get a hold of Mané’s cross and Divock Origi was there to tap it home. The keeper made slight amends for this mistake in the 70th minute with an acrobatic fingertip save to deny a long shot from Henderson. In the end, neither side could find another goal and they would split the spoils with a 2-2 draw. Liverpool now find themselves six points off of Chelsea for the top spot in the table, while West Ham are a point clear of the relegation zone.